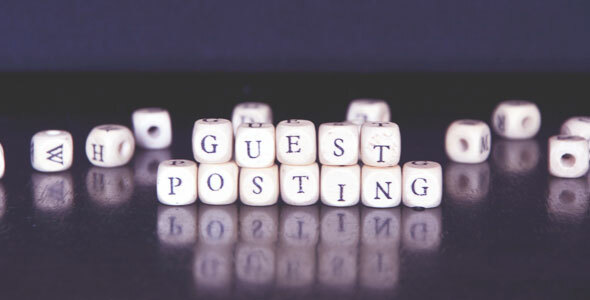 Guest Posting is the one of top SEO strategies to increase overall presence of any website, consistent referral web traffic or high quality relevant backlinks. It is not an easy task, however, the results are outstandingly amazing once it is achieved! Guest Posting is in great demand by Internet marketers, bloggers, webmasters around the web and SEO crazy small business website owners. But, no one can deny the fact that all, including Google and its partners, appreciate good online reputation and quality of content. So, please submit your posts wisely. Here is a list of websites that allow guest posting that you may find really useful, since this is where you can brand to a wider audience and expose your content. Aboutfreelancewriting.com – this is a blog that allows guest posting of between 580-600 words. However, they don’t pay for articles. BloggingPro.com is a website aimed to help rookies to learn about blogging plugins, themes, applications, etc. TechnoTropis.com is a blog that comes with breaking news about IT. Bestwebsoft.com is focused on themes and plugins for WordPress, design, web development and any related issues. WPkube blog is also about WordPress products. Wpmudev is a blog about all stuff related to WordPress (themes, plugins, troubleshooting issues). WordPress Money Blog is a weblog about online business in WP. Also, they pay for guest articles. ManageWP is a WordPress management website which also allows guest blogging. Say, you`ve posted guest post on 10 blogs and you get an average at least 10-20 pageviews on each blog. So you will get 500-1000 pageviews only from doing guest blogging on these blogs. Guest blogging is considered as the highest natural, secure and respected way of generating consistent web traffic and backlinks. It is the one of the most respected web promotion techniques, in terms of quality referral traffic and Search Engine Optimization. Guest blogging could be an exceptional and fast way to create a chain of social networking + consistent traffic + relevantly good backlinks + conversion rate + online reputation + overal online popularity of your website. Check New PDF & Print Features & Updates!